Big Horn Roofing, Inc. is a full service company willing to meet your commercial, industrial, or institutional needs. 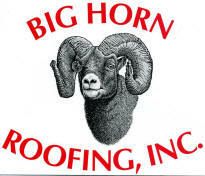 If you would like a representative from Big Horn Roofing to meet with you to provide an estimate for re-roofing your existing building or if you are planning a new construction project please complete the following form and you will be contacted as soon as possible. Interested in Employment? Please print out this application and fax or mail it to our Laramie office.